The 3rd of May 2018 is World Press Freedom Day, a celebration and anniversary of the Declaration of Windhoek. 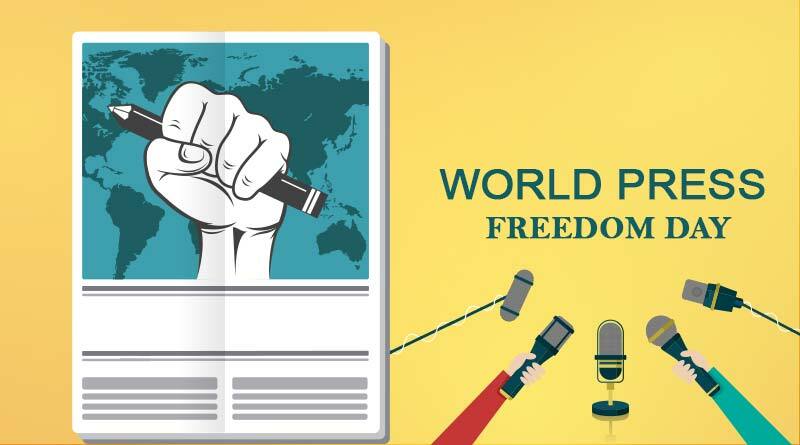 After the recommendation by the UNESCO general conference, this day was proclaimed as the World Press Freedom Day In December 1993 by the UN General Assembly. The purpose is to spread awareness about the freedom of Press as also to keep the Governments reminded about the right to freedom of expression. The day celebrates fundamental rights and principles of press freedom, take an assessment of press freedom throughout the world, offer condolences to the families of journalists and other media persons who have died for the freedom of press in their line of duty and also defend the media from attackers who try to curb their freedom. This time, in 2018, the theme of World Press Freedom Day is to keep the power of media, justice and the law in check. Through their work they foster transparency and democracy. Their life should not be threaten to convey information to the public. World press day is celebrated in India by educating the general public about media and the means of communication. Following the theme there are press conferences, roundtables, cultural performances, etc. This celebration takes place in more than hundred nations. UNESCO also celebrates this occasion by holding award ceremonies for people who have protected the right to freedom for journalists, especially those who have done the same in the face of danger. UNESCO serves as an organising partner to keep the freedom of expression intact. 262 journalists imprisoned worldwide–51% in Turkey, China, & Egypt. Let us celebrate the freedom of press with dignity and with gratitude towards these journalists on this World Press Freedom Day. ← Best Air Coolers in India ← Match 33rd: IPL 2018: KKR vs CSK – Who will win the IPL match today?